We are the Trade Association for the Radio and TV Stations in the State of New Jersey. We conduct educational seminars, conferences, broadcast training activities, federal rules and compliance procedures and are the New Jersey broadcasters voice at the Capitol both in Trenton and Washington. The organization was founded in 1946 by several major New Jersey radio stations and has since grown to Radio and TV stations in the state and many Radio and TV stations in neighboring New York City and Philadelphia. The Broadcasters Foundation of America was established to help fellow broadcasters in need of special assistance. If you or a friend or colleague are in need of help, please click here. 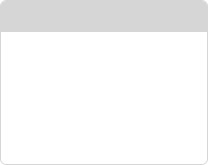 Copyright © 2019 - New Jersey Broadcasters Association - All Rights Reserved. in deploying AMBER alerts in New Jersey. The newsletter is a primary tool to communicate developments, progress, personal stories and improvements to responses to incidents of missing, endangered and abducted children. We are excited about the progress realized toward our mission of recovering abducted and endangered children and encourage you to remain steadfast in your support of this mission and the AMBER Alert Program. For 2012 we have added new and informative training and technical assistance offerings for your use. 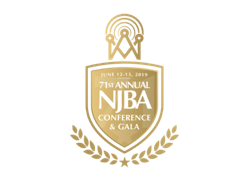 The New Jersey Broadcasters Association is pleased to announce the NJBA’s 71st Annual Conference & Gala saluting The Majesty of Radio, which will be held this upcoming June 12th and 13th at the Tropicana Resort and Casino on the fabulous Boardwalk in Atlantic City!